When it comes to style, there isn’t much that can change the way your home looks like interior doors. Choosing a style of door that matches the architecture of your home, as well as each individual room can be a daunting task, especially with the wide selection of options out there. That’s where John’s Lumber’s dedicated door experts can help. 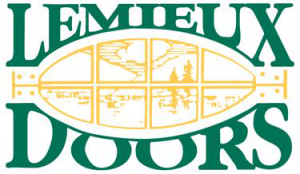 Our experienced staff can help you pick the best doors to match the inside of your home, and offer you a wide selection of options, at prices that are sure to match any budget. If we don’t have it in stock, we can get it in no time at all. Interior glass doors open up the inside your home like nothing else. Perfect for connecting the inside of your home and allowing light to flow from room to room. John’s Lumber offers a wide selection of options from several of the best manufacturers in the business, and our experienced staff can help you find the best options for your home, and your budget. solid wood doors. These beautifully engineered doors are available in a smooth or textured finish with matching bifolds to suit any decor. They come in a wide range of widths and heights and are primed for easy finishing. All designs and sizes are available primed and ready for paint; 6-panel is available in a prefinished white color (6’8″ textured only). 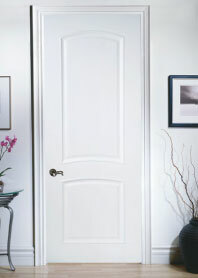 Nothing beats the look and beauty of a solid wood door. 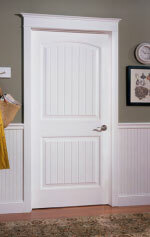 At John’s Lumber, we offer a variety of wood style doors, in several species, and many different styles and species. Our large display areas showcase a beautiful selection of wood doors from top brands, and we are sure to have what you are looking for. Flush – Flat surfaced doors, covered in a smooth veneer. 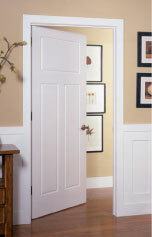 Most modern interior doors are flush doors, and are available in a large selection of patterns and inlays. 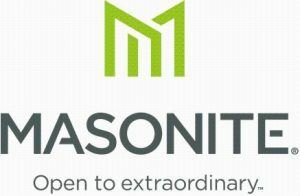 Panel – Designed to combat the effects of moisture and changes in weather, panels are built into the door frame, allowing for more breathing room and flexibility. Perfect for Michigan weather. Glass – Beautiful and intricately designed, interior glass doors are meant to bring outside light into a room, or connect two rooms in a home. Stylish and practical, glass doors are sure to add a sense of luxury to the inside of your home.